The role of pigeons (and other terrestrial birds) in the evolution and ecology of Highly Pathogenic H5N1 has been a subject of considerable debate over the years, with many believing these ubiquitous denizens of urban rooftops and ledges to be immune to the virus. While no doubt a comfort to those who raise and race these birds, the evidence of `immunity’ to H5N1 has been mixed, and a number of human and animal infections have been linked to exposure to pigeons. In 2013 (see Indonesia Reports 194th H5N1 Case), pigeon exposure was cited as the likely source of infection. In 2012 (see WHO Updates H5N1 In Egypt & Indonesia), two human H5N1 deaths in Indonesia were linked to direct contact with pigeons. The April 2006 CDC's EID Journal Avian Influenza H5N1 in Naturally Infected Domestic Cats, describes a domestic cat that died after eating an infected pigeon. In May of 2006, a 39 year-old man died after reportedly cleaning pigeon feces from blocked roof gutters at his home. While waterfowl (ducks & geese) and gallinaceous birds (turkeys, grouse, chickens & quail) are most often associated with carriage of the H5N1 virus, terrestrial birds such as crows, starlings, pigeons, and sparrows have also been found to carry, and shed, the virus as well (see 2007’s EID Journal Role of Terrestrial Wild Birds in Ecology of Influenza A Virus (H5N1). The belief that pigeons are `immune’ to H5N1 seems to stem from the fact that they are generally more resistant to the virus than many other species, they can often carry H5N1 asymptomatically, and don’t tend to shed large amounts of the virus when infected (see EID Journal Avian Influenza (H5N1) Virus in Waterfowl and Chickens, Central China). In the past couple of years, pigeons have also been linked to H7N9 (see Eurosurveillance: Genetic Tuning Of Avian H7N9 During Interspecies Transmission & human cases here, here & here). As with H5N1, H7N9 infection in pigeons is a `silent’ infection, and its ecology is poorly understood. As new avian flu types emerge (and new reassortant variants of existing subtypes), we’ll need to re-evaluate to the role of pigeons, and other terrestrial birds, in the spread and evolution of these viruses. What was true yesterday need not hold true tomorrow. All of which brings us to a new, brief, study appearing in the open access ASM journal Genome Announcements, which provides an analysis of a reassorted HPAI H5N1 virus isolated from pigeons in Hubei Province, China. An avian influenza virus strain, A/pigeon/Hubei/RP25/2012 (H5N1), was isolated from pigeons in Hubei province, China. Phylogenetic analysis indicates that the HA gene belongs to clade 2.3.4 and the other internal genes present different recombination events. Information about the strain provides basic research data for epidemiological evidences for revealing influenza evolution. Since its emergence in 1996, the H5N1 highly pathogenic avian influenza virus (HPAIV) has caused both poultry outbreaks and human infections in multiple countries, including China (1). 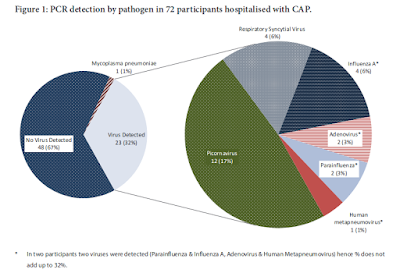 Most human cases of the H5N1 associate with avian influenza virus (AIV)-infected poultry (2). Pigeons in urban areas live close to human activities; therefore, surveillance for H5 subtype AIV in pigeon is important. Sequence analysis revealed that the nucleotide sequences of the HA gene of the RP25 strain shares 98% homology with that of a Hong Kong strain, A/Peregrine falcon/HongKong/810/2009 (H5N1), while the NA gene sequence is most closely related to that of A/duck/Liaoning/Q1/2009 (H5N1). The M gene has the greatest sequence identities (99%) with an H9N2 virus (A/swine/Yangzhou/1/2008). Other internal genes of RP25 are found to be more similar to those of southern China H5N1 AIV strains (97 to 99% nucleotide identity). Phylogenetic tree analysis indicates that the HA gene belongs to clade 2.3.4 and that other genes present different recombination features, which suggests that this H5N1 strain went through extensive evolution and recombination with different subtypes of influenza viruses. In conclusion, RP25 is a novel reassortant avian influenza virus, and poses a potential threat to human. These results highlight the importance of persistent surveillance for H5 subtype AIV in birds.